I am Jack Byno and since 1994 I have been a traffic ticket defense attorney in the River Oaks Municipal Court. Of course, I represent clients throughout the greater Dallas - Fort Worth area. My law firm only handles driver's license issues and traffic tickets. Most of the cases we handle include, but are not limited to, speeding tickets, CDL violations, lifting traffic warrants, and driver's license suspension hearings . If you need assistance with a River Oaks traffic citation contact the lawyers of Jack Byno & Associates . When you hire the attorneys of Jack Byno & Associates to represent you with your speeding citation in the City of River Oaks, Texas or any where else in Tarrant County, we will take care the time to inform you of your options. Our lawyers are strong negotiators and will look for the best deal we can make on your speeding tickets . In most cases we can get you deferred disposition, which if granted by the court and successfully completed will result in the ticket being dismissed. Contact the attorneys of Jack Byno & Associates to discuss your River Oaks speeding tickets. A speeding ticket can have severe consequences in the River Oaks Municipal Court. It can lead state surcharges, increased insurance rates, and possibly suspension of driving privileges. If your Tarrant County speeding ticket has gone to warrant, the attorneys of Jack Byno & associates can post bond, lift the traffic warrant , and plead your case to the best deal we can make on your behalf. Contact an attorney to lift your River Oaks traffic warrants before the statewide warrant round up catches up with you. More about River Oaks Warrant Roundup . The lawyers of Jack Byno & Associates only represent clients with cases involving driving records and Class C Misdemeanors in River Oaks and elsewhere in Tarrant County. 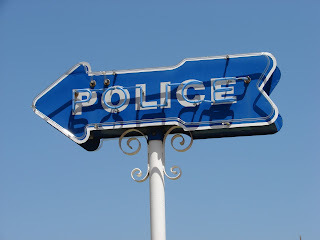 Other attorneys dabble in traffic tickets, but it is what our firm handles by choice. A large portion of our traffic ticket defense is devoted to helping commercial drivers license holders . No lawyer can guarantee the outcome of a case, but with Jack Byno & Associates you will have our full attention. Contact a CDL defense lawyer for help with your River Oaks trucking violations. I am Jack Byno and I have been helping clients with their traffic tickets written by the River Oaks Police Department since 1994. If you have a River Oaks speeding ticket or traffic warrant contact me . My experienced attorneys can assist you with a driver's license suspension hearings and CDL violations in all of the municipal courts of Tarrant County. If you have a traffic warrant make sure you take care of it ASAP! At the time of this writing the statewide warrant round up is taking place and the River Oaks Police Department does take part in it.